This entry was posted on January 23, 2019 by Chris Elliott. Which type of wood is the most hard wearing? The most hard wearing woods on offer are either Hickory or Maple. They are slightly harder than Oak flooring. Oak flooring is by far the most popular choice of wood flooring. It is widely available in different sizes, grades, plank types and surface finishes. On the other end of the scale is Walnut. 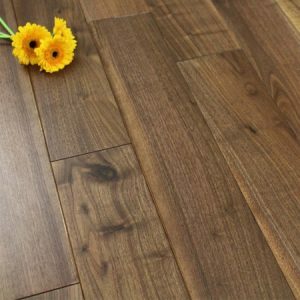 This is a much softer species of hardwood and can dent and scratch more easily. Walnut is still a popular choice of flooring, due to its rich brown colours and unique grain pattern. You would need to take extra care of a Walnut floor, to protect it from damage. 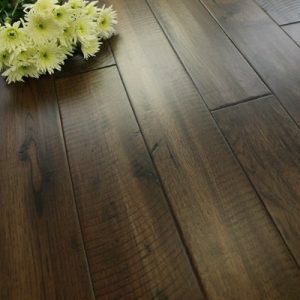 Finally, if you are looking for a particularly hard wearing floor covering, you may want to think about Strand Woven Bamboo flooring. It is over twice as hard as Oak flooring. You are still getting a beautiful, natural flooring covering, but have the added benefits of durability, sustainability and versatility. It is a great alternative to hardwood flooring. Have a look at The Advantages of Bamboo Flooring. A hardwood floor can last for decades if looked after properly. Even after a few years if it seems like your floor has lost it lustre, it can be sanded and re-finished. 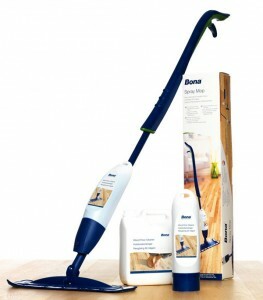 This will help to bring your flooring back to life. Sanding and re-finishing can be done a few times, depending on the type and thickness of your floor. How should I look after my wood flooring? To ensure you make the most of your wood flooring, you must look after it carefully. This can help to prevent unwanted damage and scratches. The best way to look after your floor is to prevent damage in the first place. Simple, but effective, things like using door mats at entrance doors, felt protector pads on the bottom of furniture, and sweeping away dust and dirt daily, can help to keep your floor scratch free. As with any natural flooring material, you must remember that wood is subject to dents, scratches and damage if not looked after properly.